Thank you for your interest in The Dalton School's First Program! We hope you have had the chance to browse through our website for information about Dalton. Our comprehensive, interactive school viewbook is another great source of information about our school. We are delighted that you are thinking about applying! In order to apply to Kindergarten, all children must be 5 years old by September 1st, the year that they would be entering Kindergarten. The three requirements for completing the admissions process are listed below. All requirements must be completed to receive an admissions decision from Dalton in February. Please read through all of our instructions on "HOW TO APPLY" as well as our "RECOMMENDED TIMETABLE" to make sure you are thoroughly aware of Dalton's admissions process as each school's process is unique to them and may have different requirements and deadline dates. Dalton will no longer be requiring or accepting ECAA (ERB) test results or any other testing for Kindergarten applicants. We do not administer the SRT. Emails, phone calls, faxes and messages are not accepted to schedule a Spring Tour. Spaces are limited and fill up quickly. To sign up for a Spring Tour, “explore” The Dalton School on Ravenna's Directory at www.ravenna-hub.com and sign-up for only one date. You may create your login and password on Ravenna ahead of time. Please do not forget to press the "explore" button and make sure you are applying for the Fall of 2020 season when you sign up. Signing up for more than one date will void all registrations. We will call you within a few days if there is a conflict with your scheduled tour date. If tour dates have been filled, you may sign up online on our active waitlist. As cancellations occur, we will go to our waitlist to fill available spots. Tours are given on various school days throughout April and May at either 9:00 or 10:30 AM. Please allow about one hour and thirty minutes for your visit. A Spring Tour will be considered a family's ONLY tour of First Program, so we do REQUIRE that both parents come on the tour (if a two-parent family). 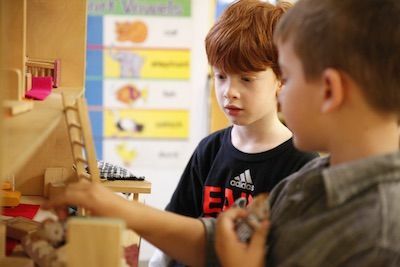 Spring tours are ONLY for families applying to Kindergarten for the 2020-2021 school year (applicants must be five years old by September 1st to be eligible for Kindergarten). For those families not able to take a Spring Tour, a fall tour will be scheduled for you as part of the regular admissions process after submitting your application. If you have already taken a tour of First Program this past admissions season, we ask that you wait until the fall to tour the First Program again, after you have submitted your application. Please know that spaces for Spring Tours do fill up very quickly. It is very important that EACH parent bring ID to all Dalton visits. Applications are now closed for the 2019-2020 School Year. The deadline was November 16th before Noon. For grades K, 1, 2 and 3 - we do not anticipate there being openings for these grades but you may fill out the Closed Grade Inquiry form, and we'll keep your information on file in case something changes. These events are for families new to Dalton who would like to see First Program before applying. Evening Open Houses give parents an opportunity to view our First Program facility as well as meet students, faculty, and administrators, who will describe our program to you. For families who know that they will be applying to Dalton, it is not necessary to attend an Open House, as a tour of First Program is part of the admissions process. Registration will begin online Date TBD, and thereafter until filled. Please do not leave your information on our voice mail, register online on Ravenna. Once the Open Houses are filled we will have a waitlist. Please sign up for only one Open House date. Descargue una descripción en español, o traduzca nuestro sitio web completo usando el traductor en la parte inferior de cada página.